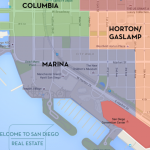 The Marina District is located on the Southwest side of Downtown San Diego. It stretches between the San Diego Bay and Horton Plaza and features some of Downtown’s best breakfast cafes. 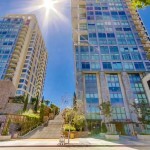 This area was formerly filled with warehouses and vacant lots but is now filled with high-rise and mid-rise hotels, condominiums and apartments. 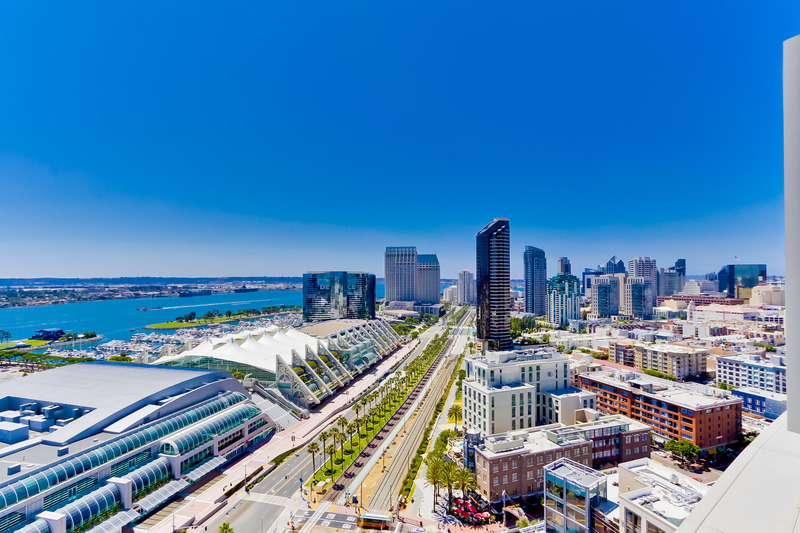 It is home to the Embarcadero, Seaport Village and the bayside San Diego Convention Center with its unique architecture and sail-roofed Pavilion. 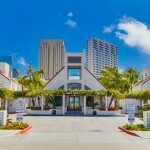 The Embarcadero is one of the many gems in the neighborhood that adds to the rich cultural history but the San Diego Chinese Mission Building can also be found here which recognizes Asian cultures’ contributions to the city’s development. Pantoja Park between State Street and Kettner Blvd that was original built in 1850 making it the oldest park in the city of San Diego. It is a small oasis of grassy area, multiple large mature trees, flowers, benches, walking paths, and a historic Natal Plum planted in the middle of the park which is registered as the seventh San Diego Historic Landmark. 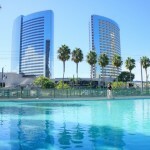 For shopping there is a 14 acre waterfront shopping, dining, entertainment area known as Seaport Village. 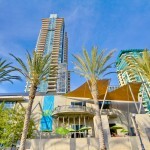 The Marina District contains most of Downtown San Diego’s premier luxury condominiums. 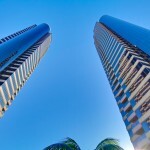 Give us a call at 619-618-2267 to help you find your dream Marina District condo.